A timeless decade that’s still a source of inspiration and new trends: the Seventies come alive again at Casa Zegna in an exhibition entitled “UOMINI ALL’ITALIANA 1968. Confezione Zegna: dalla sartoria all’industria” (ITALIAN STYLE MEN 1968. Zegna clothing: from tailoring to industry) focusing on the origins of Ready-to-Wear Zegna in the decade 1968-1978. It’s an opportunity to remember all those floral shirts, bellbottom jeans, miniskirts, caftans, and (why not?) dust off some vintage photographs (yours or your parents’) and take part in Fondazione Zegna’s “Fashion on holiday 1968-1978” competition. 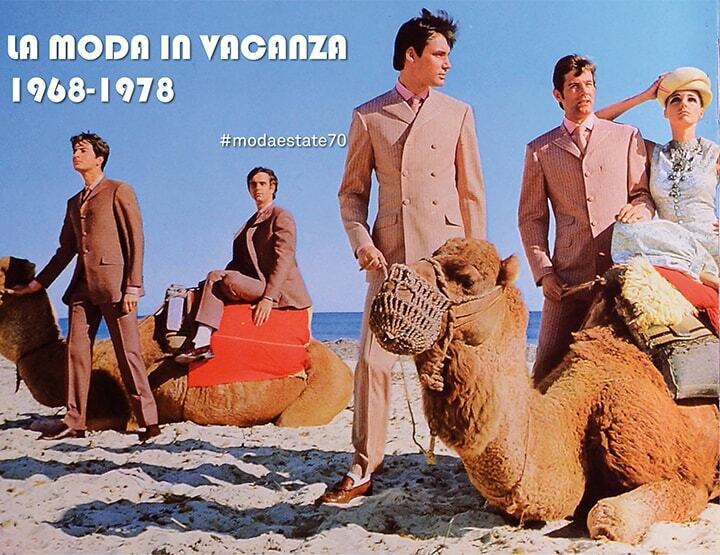 Just share some photos on this theme taken in that decade on your Facebook profile using the hashtag #modaestate70. Or send the photos via e-mail (to archivio.fondazione@zegna.com) or a private message via Facebook. All the photos will be posted on the Foundation’s fan page and those that get the most Likes will win 2 free tickets to Casa Zegna while the “UOMINI ALL’ITALIANA” exhibition is on (till 28 October) and the exhibition catalogue.